Last week I had a group of friends who hadn't seen each other for ages, and this week, I have a complete mix - a mum and daughter, two keen beginner mosaicists and a dad, who doesn't know he is coming yet as it is a surprise present - never a dull moment! 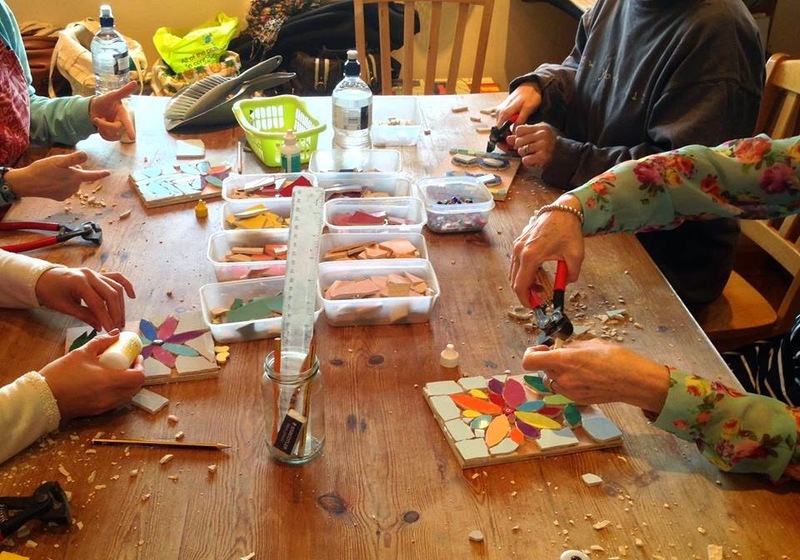 Next week, I will write in my blog about the therapeutic aspect of making mosaics - but this week it's a little plug for my flower gem mosaic Mother's Day offer - forgive me! 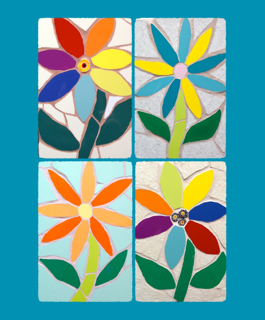 My flower gem mosaic makes such a lovely gift for Mother's Day, which is March 15th here in the UK. It costs less than a large bouquet of flowers, last forever and is something a bit different. It is 15cm x 20cm and hangs like a picture - £20 incl UKP&P and a mosaic flower greetings card - or £28 incl RoWP&P and a mosaic flower greetings card. Please email me with your email address for PayPal - felicityball@justmosaics.co.uk - and which of the ones below you would like. I might have time to make a special colour combo for you, but you'll have to be quick! Thanks as always for taking the time to read my blog posts, and I appreciate SO much any sharing you might feel moved to do! 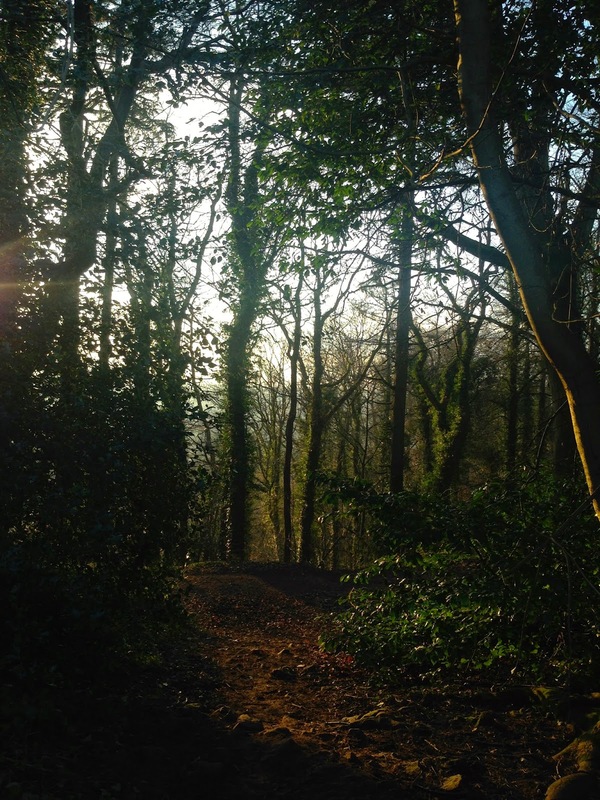 I am lucky to live near lovely places and have a lovely dog to walk every day - these woods are a particular favourite! 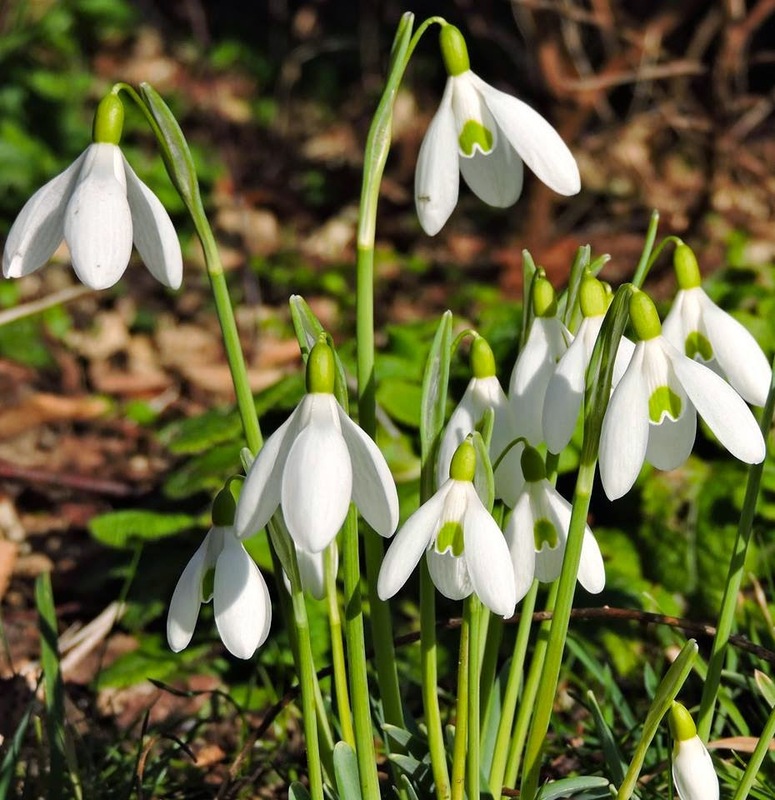 This photo of snowdrops was taken by my husband outside my studio - I regularly get distracted by them! 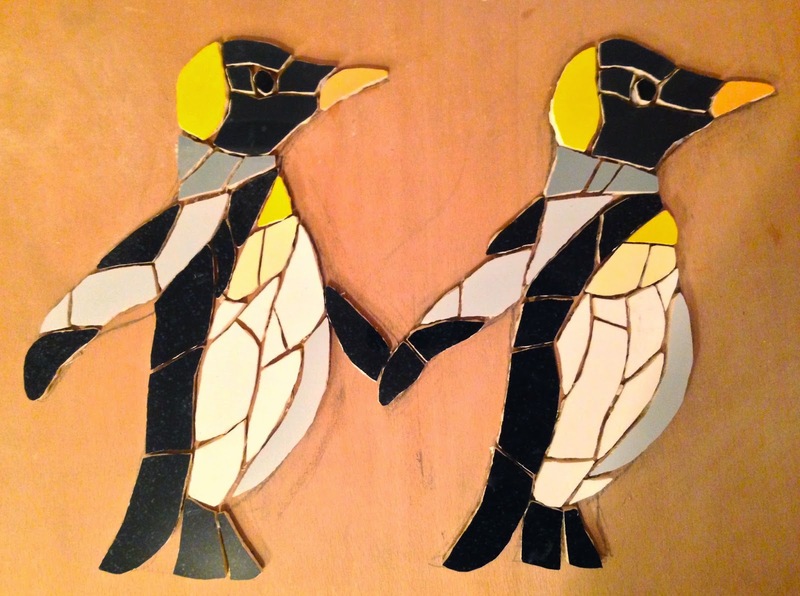 I finished the penguins mosaic this week - am really pleased with how it turned out! One of my favourite lunches - yum! 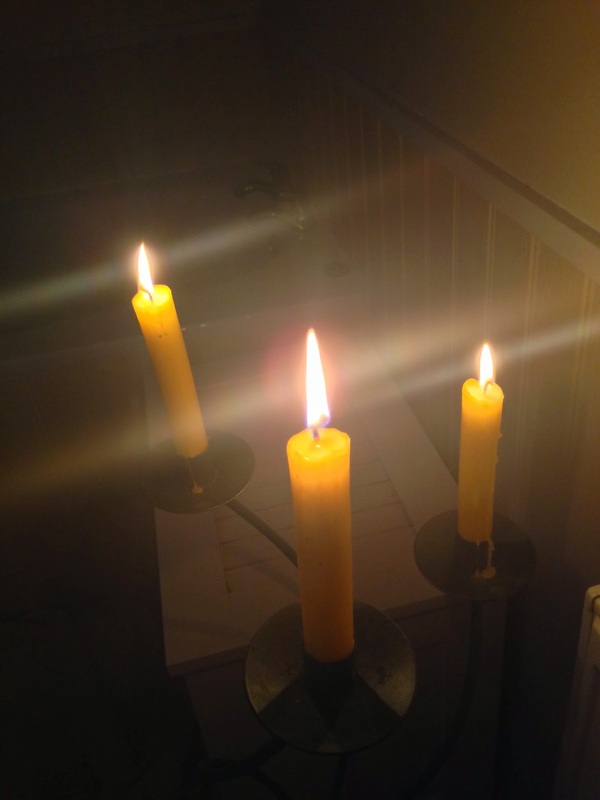 It's been jolly cold here recently - nothing like a hot bath by candlelight! So, it's been a good week. I am so heartened to see more of you each week giving my blog the old thumbs up with a Google+ recommendation - thank you, it really makes all the difference! 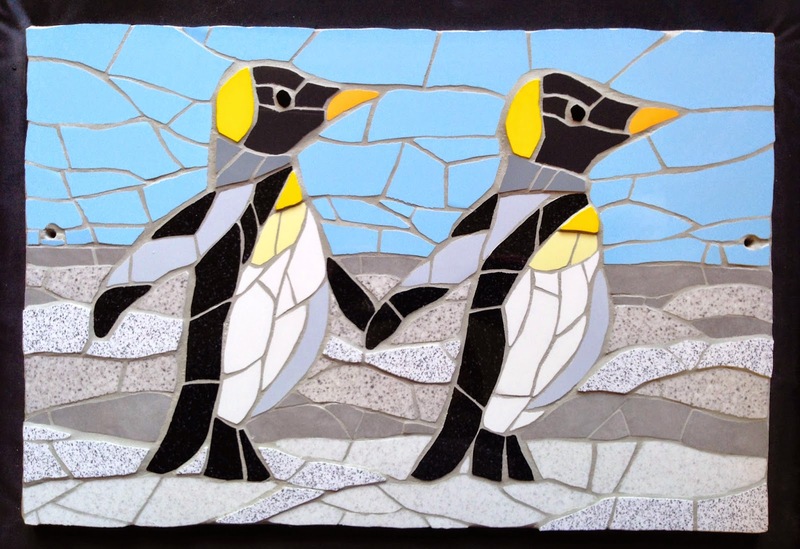 I often get asked about how I make my mosaics - and, as with a lot of things in life, there is no magic formula - it is hard work, practice and lots of good ideas! I can tell you want I use - simple tile snippers, PVA glue (for indoor mosaics), ordinary wall tiles, exterior plywood for the base, tweezers for putting the little pieces in place - I have a pencil, ruler and rubber handy (and a notebook for ideas as they come to me), and basically blogger friends, that is it! Ask any mosaic artist, and they will tell you, mosaics take a long time to make. I have never priced my work with how long they take to make - it would make the minimum wage look loads! 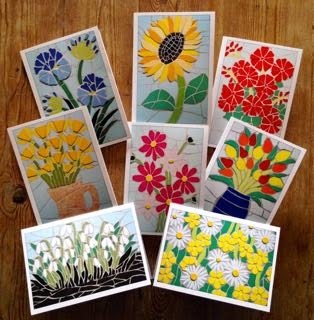 But, of course, that isn't the point - I just love to make mosaics, and still feel privileged that customers want spend their hard earned money on them! My tiles are always a source of interest - where do I get all those gorgeous colours and textures? Well, I do a biannual big order from Wall and Floors, so that the delivery is reasonable. I visit the British Ceramic Tiles factory shop twice a year too ( see blog post - http://justmosaics.blogspot.co.uk/2014/11/a-visit-to-british-ceramic-tiles.html) and I keep my eyes open for anything interesting, wherever I am. A mosaic of Chesil Beach, Dorset, England - one of the mosaics I sold this week. The ideas for mosaics..? Well, they just flow - while I am working, or walking the dog, or on holiday, or at exhibitions, or in the middle of the night! 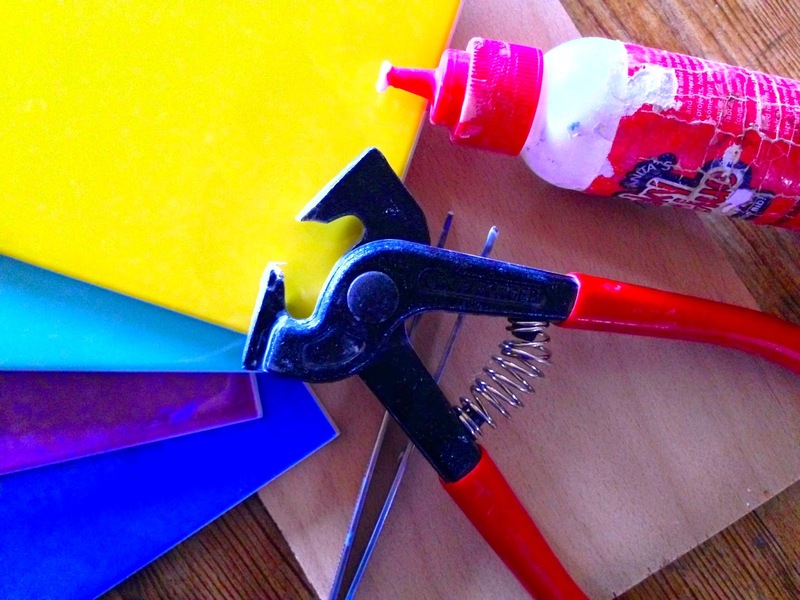 I have a great list of mosaics I want to make ..'when I have got time!' I am learning to make the time between orders and commissions now - because you have to feed that inspiration regularly to keep it ... humming! My heart races as I start a new mosaic I have been thinking about for a while - no one else will have done one quite like it before - it's really exciting! On my worktable this week.....!